Diosbel Arias went 2 for 4 with a homer and five RBIs and the Indians (1-0) handled the visiting Dust Devils (0-1) 12-6 on Tuesday to jump start the second half. The Indians pounded out 14 hits and five players had multi-hit games, including Francisco Ventura who went 3 for 5. Jax Biggers and Curtis Terry drove in a pair of runs apiece. Cole Uvila (1-0) struck out five over 2.1 innings to get the win. Starter Tai Tiedemann allowed five runs on five hits and two walks with five strikeouts and three passed balls. 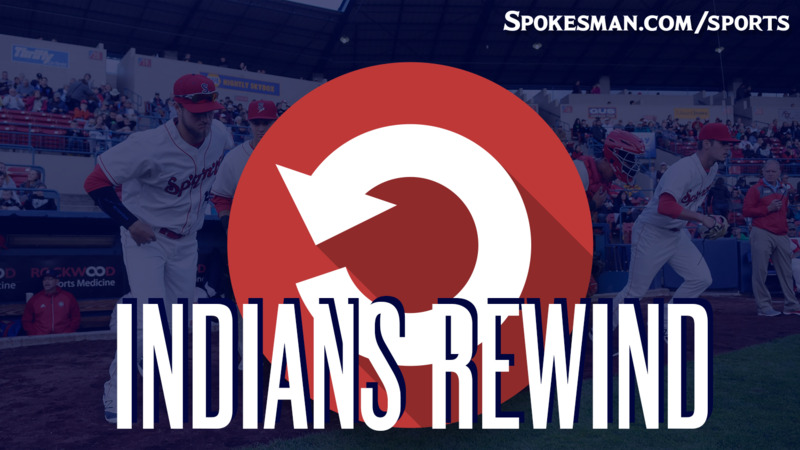 The Big Play: After Tri-City scored three in the top of the sixth to go up 6-3, the Indians came right back with a four-spot in the bottom half to take the lead for good. Jax Biggers’ bases-loaded opposite-field grounder got through to open the floodgates and Arias single up the middle played two more to give the Indians a lead they wouldn’t relinquish. The Good: Diosbel Arias, 2 for 5 with a homer and five RBIs. Francisco Ventura, 3 for 5 with a run. Jax Biggers, 1 for 4 with two walks, two runs, two RBIs. The Bad: Tai Tiedemann. Ugly line made worse by the three wild pitches. He didn’t have much idea where the ball was going in this one. The Ugly: Jonah McReynolds. 0 for 5 and stranded four. The only Indians hitter without a hit. The Takeaway: Big win to get the second half started. The North Division doesn’t have anyone running away from the others and if the Indians can find a way in the second half to win on the road as they do at home (13-7) they could do like last year and qualify for the playoffs from the back side. Next Game: Indians vs. Tri-City on Wednesday at 6:30 p.m. at Avista Stadium. Published: July 25, 2018, 11:55 a.m.